Man, I need to get some colored goop on my minis. I've got several Guild Ball teams that need to be painted, and I just picked up a whole Lizardman army. Who can I turn to for all sorts of tips and tricks to make my figures look awesome! Oh, hey, waddya know? 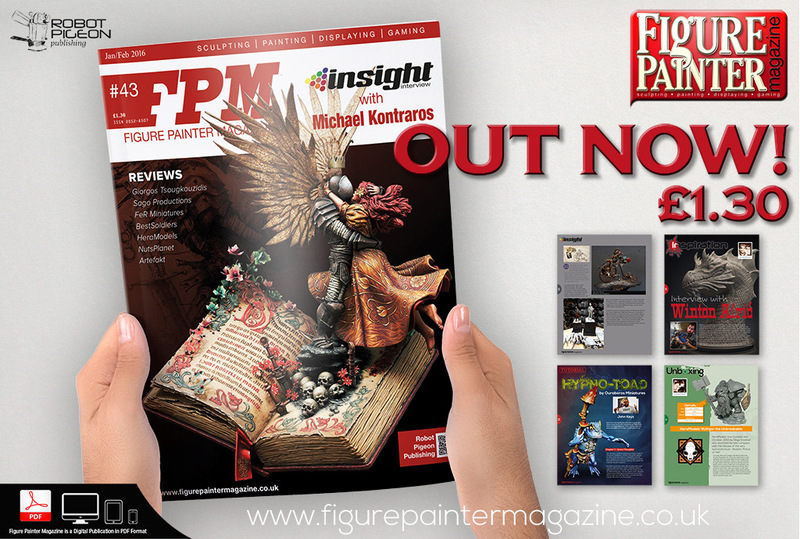 It's a new issue 50 of Figure Painter Magazine. That's perfect. They're also having a special sale! A couple weekends ago, I painted up the first minis I'd done in about 2 years. They... don't look great. I mean, they are ok enough, I suppose. But they're not going to be anything I really show off. To get to that point, I'd need to paint a lot more and read a lot more Figure Painter Magazine. Thankfully, Issue 48 is now available to help me out. 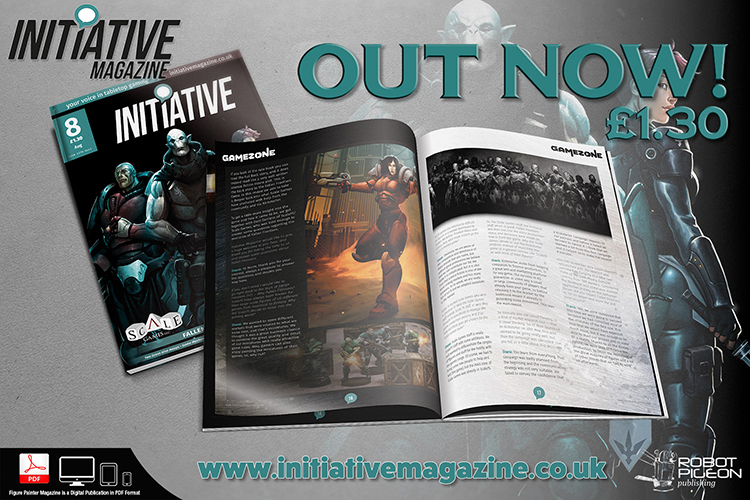 The folks over at Robot Pigeon Publishing have been busy putting together the latest issue of Initiative Magazine. And, I'm happy to say, they've got it available for your downloading and reading pleasure. As always, the high-quality of Robot Pigeon comes through, as they've looks at the Batman board game from Monolith, as well as an in-depth article on Aristeia. Plus much, much more. A couple weeks ago, I went through my (rather neglected) paint collection, resuscitating those that I could, and tossing out those that were dried solid. I have been meaning to start painting again. Just need to find time to do it. 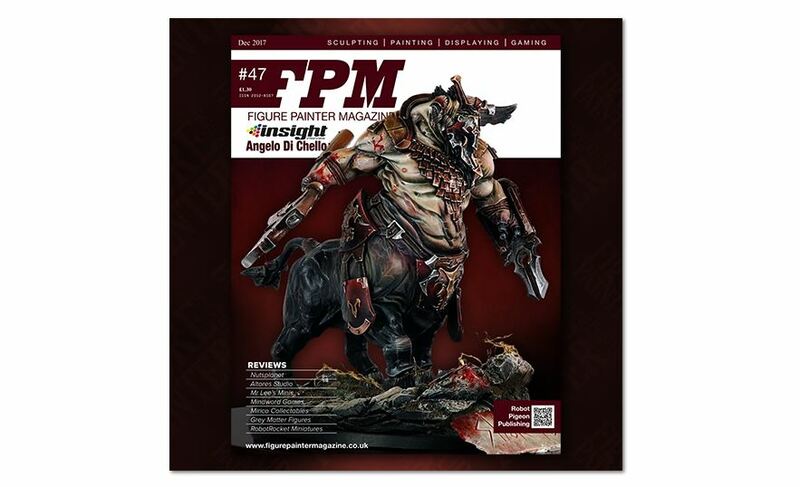 I know my skills will be rusty, but maybe by reading through Figure Painter Magazine Issue 47, I can get a jump-start back to making my models presentable. You can get your copy as well, as it's available now. I know many of you love to fill up your day with as much gaming as you can. Well, for those times where you've got a bit of downtime, you can grab yourself a gaming magazine. One of the fine publications you could read is Initiative Magazine. You can get your own copy of Issue 8 now. I've not painted a mini in years. But lately, I've been kinda wanting to get some colored goop onto my Guild Ball teams. Thing is, I know my skills have certainly atrophied in the time it's been since I last painted. So, if I want my first miniature I do to not be garbage, I should at least read up on some good painting techniques. 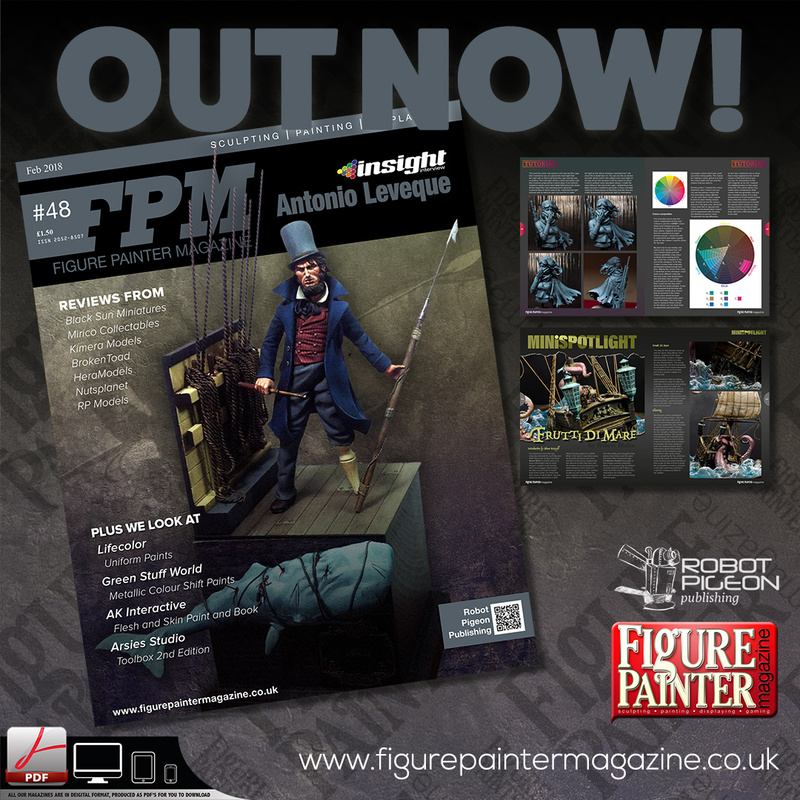 Thankfully, Figure Painter Magazine is here to help, and issue 43 is available now. If you're really into getting your minis looking as good as possible, you'll want to take every opportunity to improve your skills. 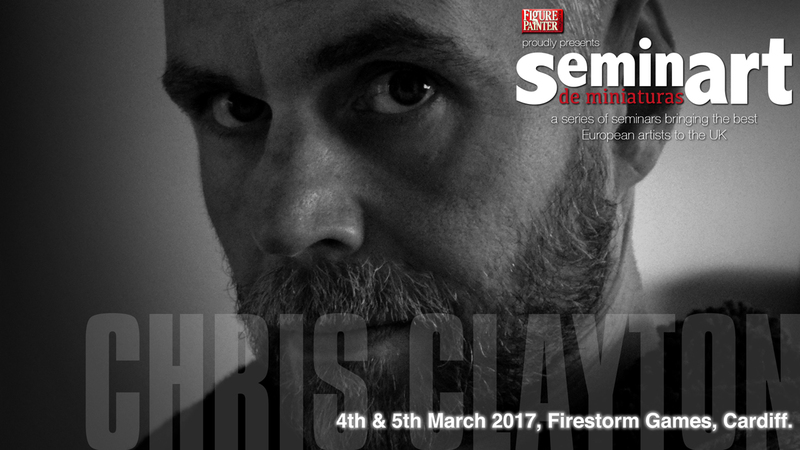 My skills are incredibly lacking, with my painted minis just north of "well, they don't look like you did it with a paintball gun..." So if you don't want your painting to be like mine, you might want to sign up for SeminART 3 with Chris Clayton. 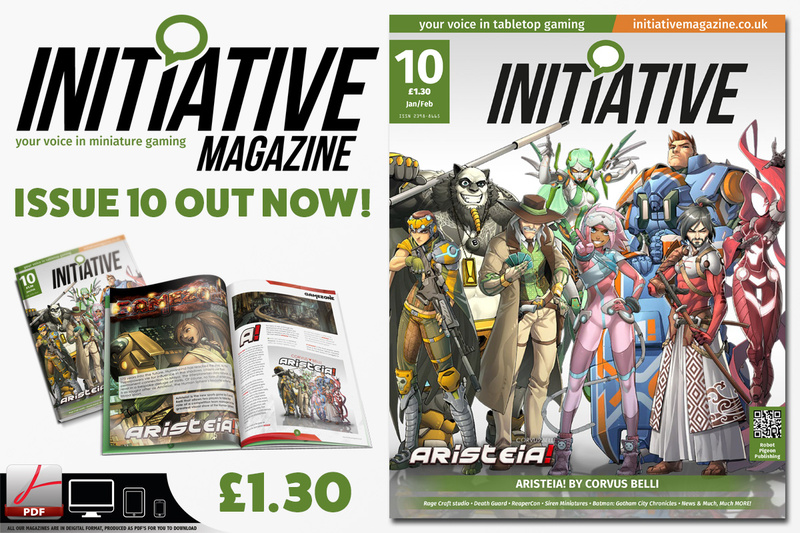 There's a whole lot of new gaming magazine going on in this issue. 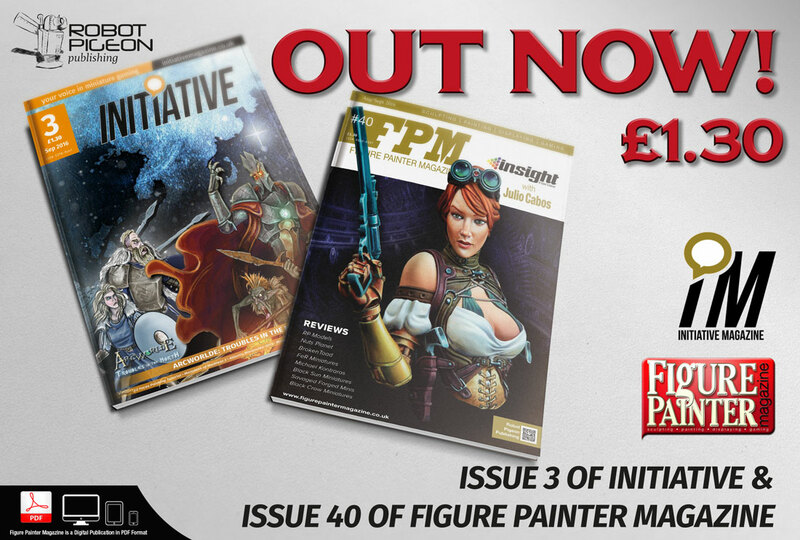 The folks at Robot Pigeon Publishing have been working hard on both Figure Painter Magazine as well as Initiative, and they've got new issues of both as the result. As always, there's a lot of good information to be had in-between those covers. The folks over at Robot Pigeon Publishing have certainly been busy. 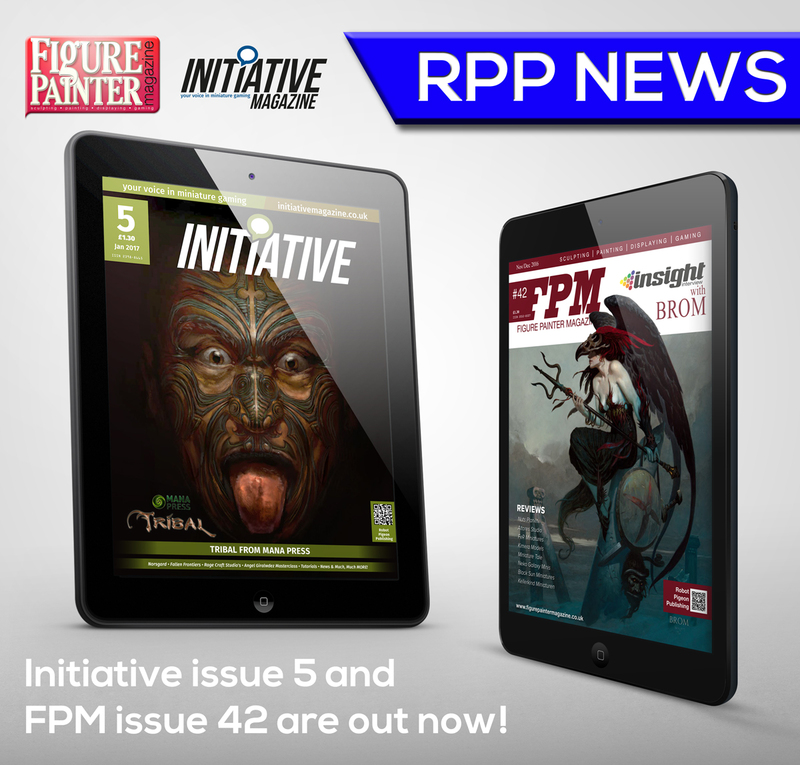 They not only have a new issue of their flagship magazine, Figure Painter Magazine, but also of Initiative. If you're like me and you could really use to increase your ability in painting, you'll want to check them out. Though even if you're regularly painting awesome pieces, there's always something more to learn in the pages of these magazines.